Introductory class this coming Tuesday, April 30. Learn meditation and mindfulness from the ground up. Meditate with a Buddhist monk. Shape your life to bring greater happiness, success, wisdom and peace. Learn the actual meditations of the Dalai Lama as taught by the first monk, the Buddha. No prior experience required. Over a meditation course of eight weeks you will learn the basics. Advanced classes for experienced meditators as well. Are you interested in learning meditation in Melbourne? If so, learning to meditate from an experienced and authentic meditation teacher sets meditation practice in its true context. You find a path to ever greater happiness, joy and bliss. In a meditative state, we have increasing freedom from stress, pressure and suffering, and move instead towards peace, happiness and bounty. The real purpose of meditation and mindfulness practice is to help us feel great. It is to release us from limitation and unpleasant experiences, from bad habits and suffering, and guide us instead towards happiness, relaxation and peace within. Meditation takes us to a natural level of happiness in the form of a constant sense of bliss. This comes from within no matter what is happening around you in life. It is just always there, ever available to you, when cultivated through meditation classes. Take a breath, create time and space, and relax. Enter into the wonderful stillness, peace and calm that awaits you in meditation with Toby Gillies’ meditation in Melbourne. From the beginner-friendly Intro to Meditation to advanced Buddhist classes, a meditation class is available to all Melbournians that would like to become a student wishing to explore the benefits of meditation and mindfulness. Toby Gillies’ meditation classes, both intro and advanced, are guided by the values of Tibetan Buddhism, sutra and tantra. The progressive structure of methods leading to enlightenment begins with single pointed concentration (samadhi), which leads to calm abiding (samatha). We then combine calm abiding and insight (vipassana) to realise ultimate truth and thus complete freedom, bliss and peace. Through these meditation classes you will notice the effect of regular practice. First, we reduce our sense of stress and anxiety. Then we find a new sense of stillness and calm. Most of all, with mindfulness we can then extend the benefits of meditation into all parts of our lives. Meditation is a spiritual journey. In the first place we conquer our fears. With that, our emotions become positive. Regular practice releases us from the hold of negativity and limitation. Mindful living brings a new awareness of ourselves and those we interact with. We thus get to know the workings of our mind. We can see where the contents of mind are helping us. Then we can contrast this with where our mindset may hinder us and block our development. In time, we gain all the meditation methods we need to overcome hindrances. Mindfulness is a part of meditation that is centred around attention, awareness and developing concentration. All our introductory meditation classes emphasise the practice of mindfulness, which can help us to focus on the present moment. Mindfulness brings clarity and focus into all spheres of daily life – even for those who believe they are too busy to be mindful or meditate. Meditation and mindfulness reveal our habits, feelings, emotions and intuitive senses, making us conscious of our otherwise mindless reactions to life’s events. Further, as our inner world changes, physical changes also occur. We experience improved health, more energy and better sleep, with meditation now being found to be an adjunct to healing our whole selves. The Sanskrit, Pali and Tibetan terms for mindfulness translate as ‘remembering’. Consequently, a more accurate description of mindfulness than ‘paying attention’ would be ‘retaining attention’. ‘Remembering’ brings your attention back when your mind wanders to the past or future in your meditation practice. In meditation we use a method of mindfulness of the breath, and then cultivate mindfulness of the body, the feelings, the mind and the phenomena of mind. These are the famous Buddhist practices of the four foundations of mindfulness. To gain the best results from meditation, we need to study the practice. This study provides both direction and inspiration. In other words, it motivates us to continue and be consistent. Toby Gillies’ meditation classes provide a supportive environment for learning so that practice and study support each other. If you turn to Toby Gillies to learn meditation, you will be able to enjoy its convenient location at 2 Minona St, Hawthorn. It is always the right time to learn to meditate. However, we often need convincing to make the time. We can see the benefits of better focus, sharper awareness, better health and sleep, but may find that we are still not convinced by the anecdotal or scientific evidence. To be convinced, we have to try it as guided by an experienced practitioner. 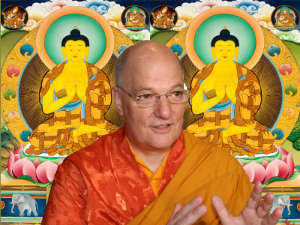 The experienced practitioner conducting our Buddhist meditation classes is Venerable Toby Gillies, ordained in the tradition of His Holiness the Dalai Lama in 1986 by scholar-monk Geshe Thubten Loden. Since, Venerable Toby has worked for his teacher establishing the Tibetan Buddhist Society, served Geshe-la in writing his nine acclaimed books, participated in countless meditation retreats and became a member of the SeraJe Monastic University in Mysore, India, in the Denma College. Venerable Toby has been teaching beginners for 40 years, focusing on making the practice clear, accessible and free of dogma. Toby understands the demands of modern Western life, acknowledging the gradual progress that needs to take place. Venerable Toby has taught thousands of people how to meditate in an engaging, down-to-earth manner. Melbourne Buddhist Meditation Classes in Hawthorn was established in 2011. Prior to that Toby taught at centres throughout Melbourne and continues to give workshops and meditation classes in Melbourne’s eastern suburbs. A meditation teacher who is a Buddhist monk is part of the lineage of teachers from the Buddha himself. We hope you will consider our classes for authentic meditation teachings. A guide to meditation for beginners. If you would like to learn more about meditation, what to expect in meditation classes, and what there is to learn about meditation, then please complete the form below to get your free meditation roadmap pdf.